David and I recently got to hang out with Charles and Danielle in the Buckhead/Mid-town area of Atlanta. After meeting with Danielle and her mom and speaking a few times on the phone, I was anxious to see her again AND meet Charles! As we walked and talked we got to learn more about how they met. It was fun to hear both perspectives…like how Charles still remembers what Danielle was wearing the first time he saw her! Who cares if it was morning… and they were in the cafeteria at school, ha ha! 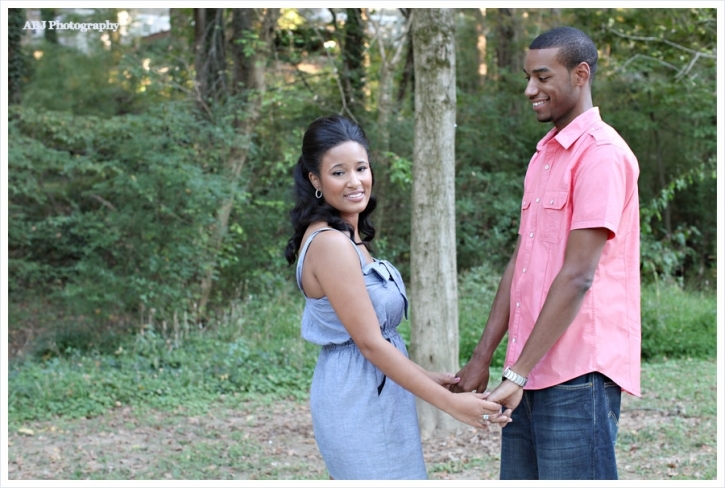 Danielle and Charles both attended the University of Tennessee in Knoxville- Go Vols! They share a great story of meeting, growing together, learning about themselves, and ultimately learning that they cannot live without each other. We had a wonderful time with you too, and cannot wait to hang out on your wedding day! 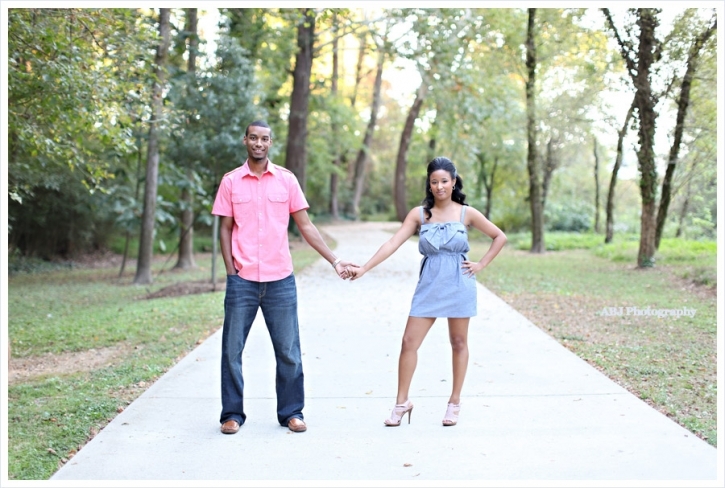 Please enjoy the first half of our session at a park in Buckhead, images from our amazing second half will be coming very soon! Those…you will not want to miss!